A trio of armed intruders recently found themselves in a hyperspeed real-life version of the film DON’T BREATHE after kicking open the front door of a home in Gwinnett County, Georgia. 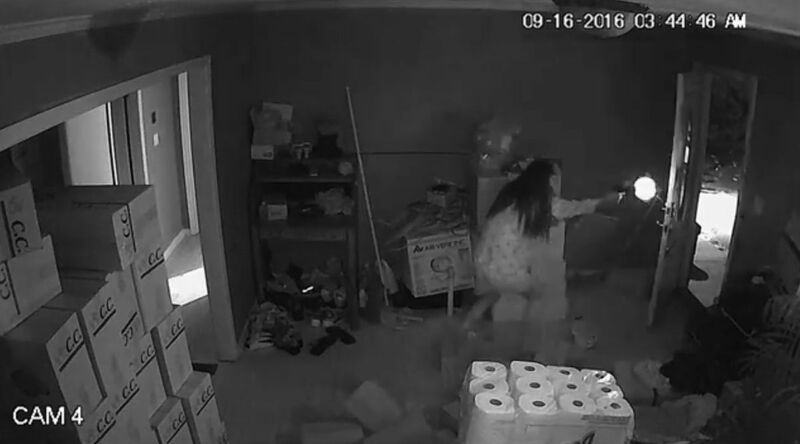 Granted, the unidentified woman in the clip below was apparently not sightless like the ultra-violent homeowner in Fede Alvarez’s recent hit thriller… but she was just as capable of dishing out deadly force, as revealed in home-security camera footage from the morning of September 16. 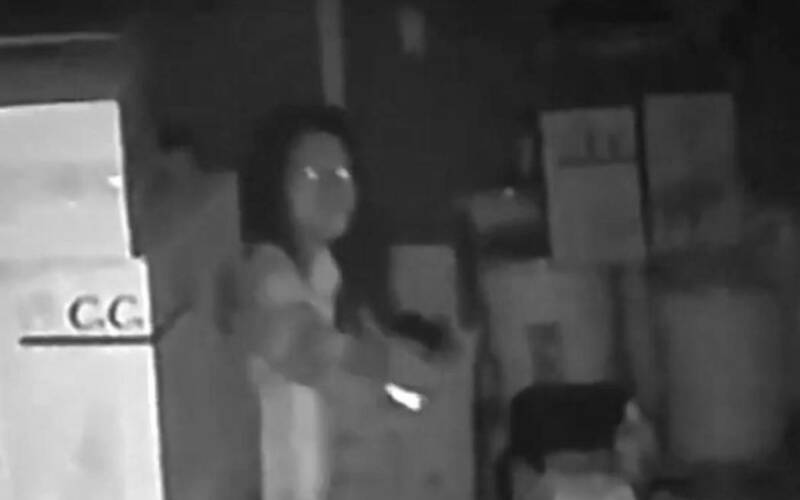 Gwinnett County Police told press that the resident, a restaurant owner who was staying with a friend, instantly responded to the break-in by entering the front room of the house with a fully-loaded handgun — which she then proceeded to unload on the perpetrators. One of the would-be burglars, Antonio Leeks, reportedly died in the resulting firefight. As you can see in the clip above, the woman is clearly unhurt, and can be seen calmly dialing police, with the emptied gun on one hand and her phone in the other. As of this writing, the other two perps are reportedly still at large. Previous Story All Hail King Cohen! 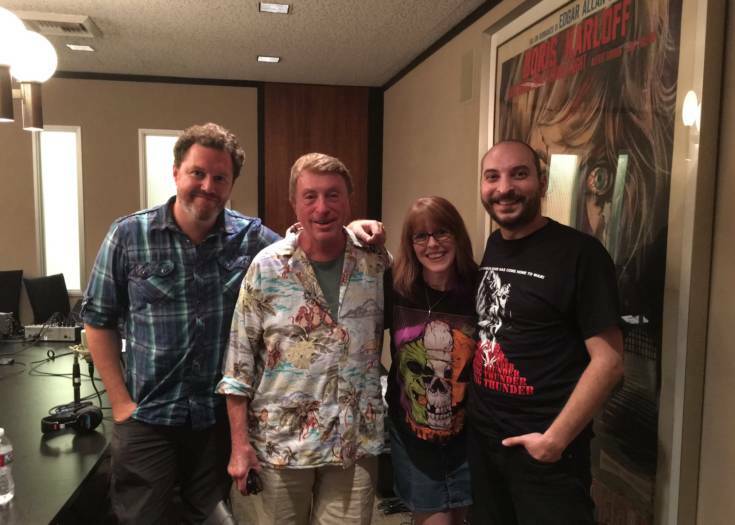 Writer/ Director/ Producer Larry Cohen Is On The Latest SHOCK WAVES! Next Story R.I.P. 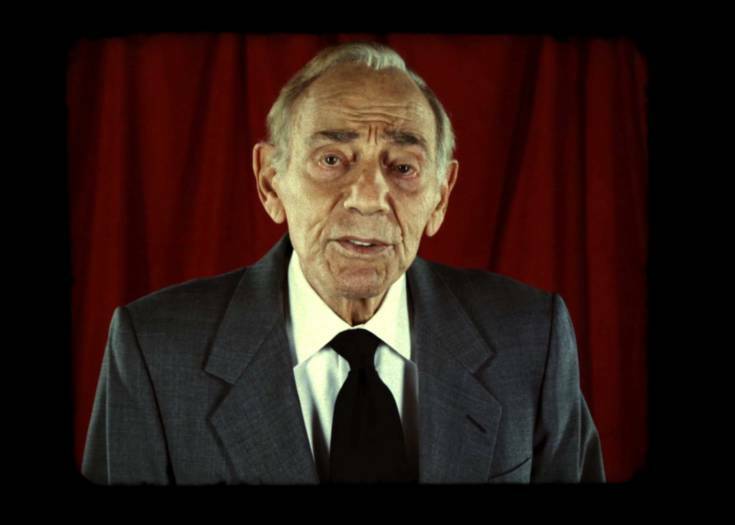 Herschell Gordon Lewis, The "Godfather Of Gore"